Madaba, Jordan, best known for its historic churches and centuries old mosaics, also happens to be where I spent two years as a Peace Corps Volunteer. During my time there I developed friendships and came to love and appreciate all that the city and the surrounding countryside had to offer. Tourism is undoubtedly important to the city and for good reason considering the vast amount of historical sites and breathtaking landscapes. Jordan has a lot to offer visitors, but no other part of the country offers quite as much as Madaba. Through countless trips with visitors and the youth center where I worked I managed to see nearly all the city and the immediate countryside had to offer. Here’s my list of the top 5 reasons you should go to Madaba. There is no other region in Jordan filled with more historical landmarks than Madaba. 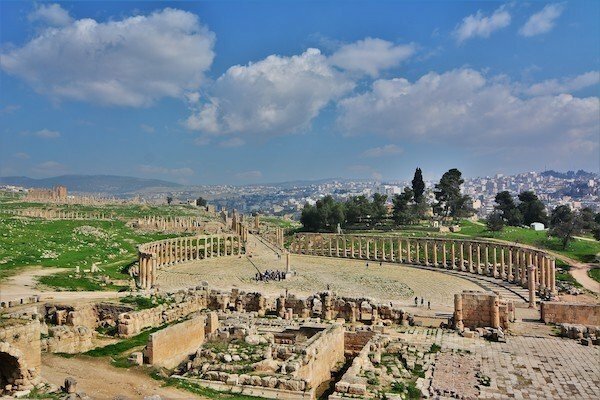 In fact you could spend an entire trip to Jordan exploring the numerous historical sites in and around the city. The most well known and almost impossible not to visit is Mt. Nebo. Mt. Nebo has religious and geographical significance as do many of Madaba’s historic sites, many of which are referenced in the Old Testament. Mt. Nebo is said to be the location where Moses saw the promised land. It’s also the best vantage point for stunning views of the Jordan Valley, Dead Sea, and Palestine. The city is famous for its mosaics, which are found at some of its most famous landmarks including St. George’s Church with its impressive 6th century mosaic of the holy land. Let that sink in- the map was built between 542 and 570 AD!! Also, not to be missed is the nearby Archaeological Park, which contains well preserved roads, buildings, and churches from the Roman era. A mosaic in the Church of the Virgin Mary dates back to 767 AD. As you can see Madaba has been around a long time! Other famous landmarks dot the countryside like Machaerus or Mukawir Castle (45 minutes from Madaba) and Umm Al-Rasas or Kastrom Mefa'a (40 minutes from Madaba). Mukawir Castle was once a fortified hilltop palace that is said to be the sight of John the Baptist's imprisonment and beheading by Herod Antipas, the successor of Herod the Great. 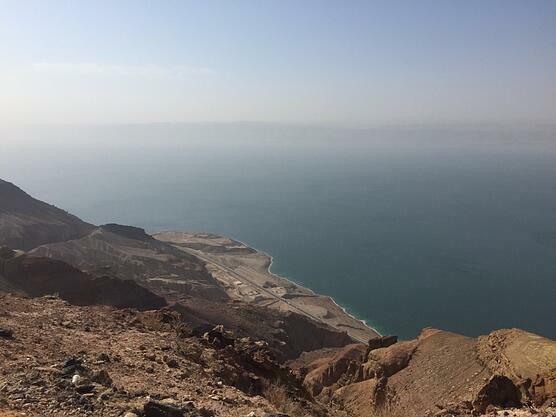 While there isn’t much left of former palace, the hilltop site does provide sweeping views of the Dead Sea. 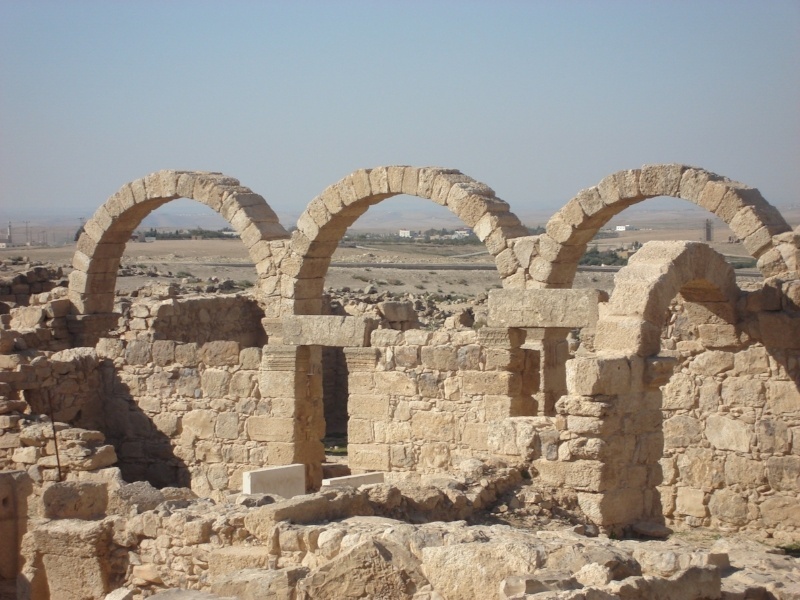 Umm Al-Rasas, located further east from Mukawir Castle is the site of a 5th century town that began as a Roman military camp. Today the site contains several well preserved buildings and mosaics. Of interest is the large mosaic in the Church of Saint Stephen depicting a map of the region at the time. Another historical site of significance, located not far from Madaba is Bethany-beyond-the Jordan (50 minutes from Madaba). Bethany, located at the mouth of the Jordan River, just north of the Dead Sea is said to be the baptism site of Jesus and one Jordan’s most popular sites. Bethany’s proximity to the Dead Sea means a visit can easily be incorporated into your day trip to the Dead Sea! Madaba is located at the edge of a plateau that drops off to the Dead Sea, which makes for dramatic landscapes that include several wadis (valleys) that flow towards the Dead Sea. One of the most impressive is Wadi Mujib located due south of Madaba along the King’s Highway. If you’re planning to visit Umm Al-Rasas this could be a great place to stop and take photos. During my time in Jordan on several occasions I went down to watch sunsets over Wadi Mujib. To access the Wadi Mujib Nature Reserve, which is at the mouth of the wadi you’ll have to take the Jordan Valley Highway along the Dead Sea. 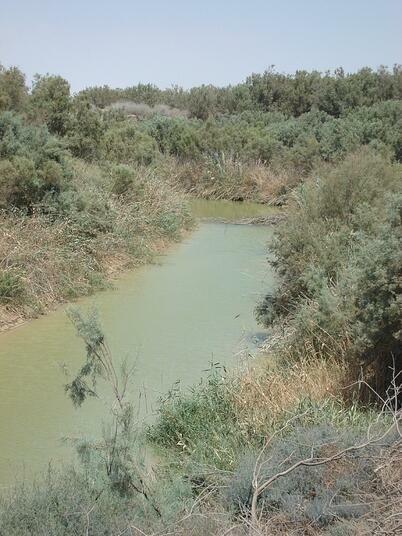 The Wadi Mujib Nature Reserve (68 minutes from Madaba) is perfect for those who love hiking and getting wet! Location, location, location. 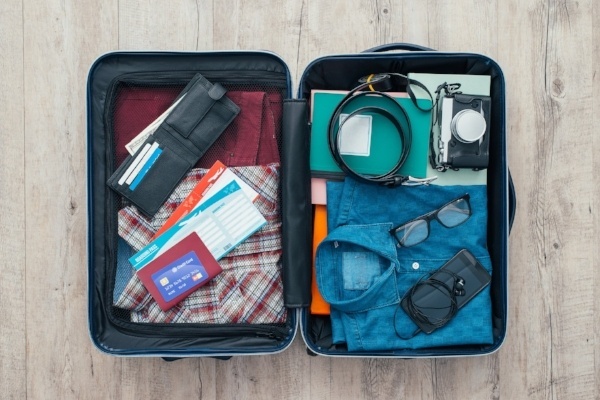 You hear it when you’re looking for a place to live and it matters when you’re traveling too. Madaba’s central location could not be better for exploring Jordan. 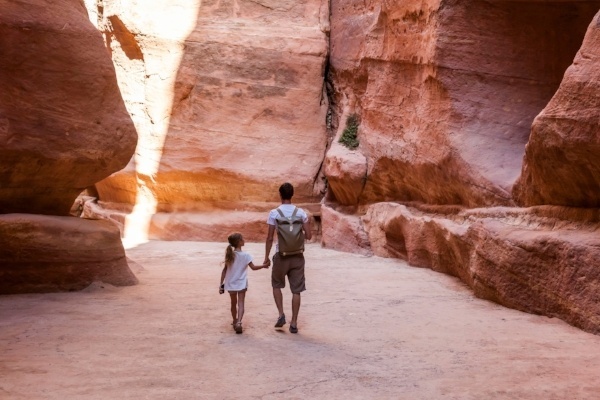 It's the perfect location to take in some of Jordan’s best known sites such as the Dead Sea, the Dead Sea Panorama Center, Ma’in Hot Springs, and even Amman if you want to explore the bustling capital. None of these places are more than an hour drive from Madaba. 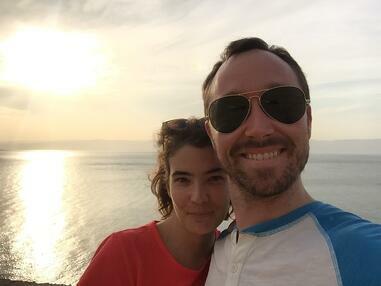 The Dead Sea happens to be an easy and scenic drive from the city (57 minutes from Madaba). There are several resorts along the north eastern side of the sea, closest to Madaba that allow for paid access to the resort’s pools, restaurants and most importantly the Dead Sea. There is also a public beach. Your route from Madaba to the Dead Sea will take you by the Dead Sea Panorama Center (41 minutes from Madaba). 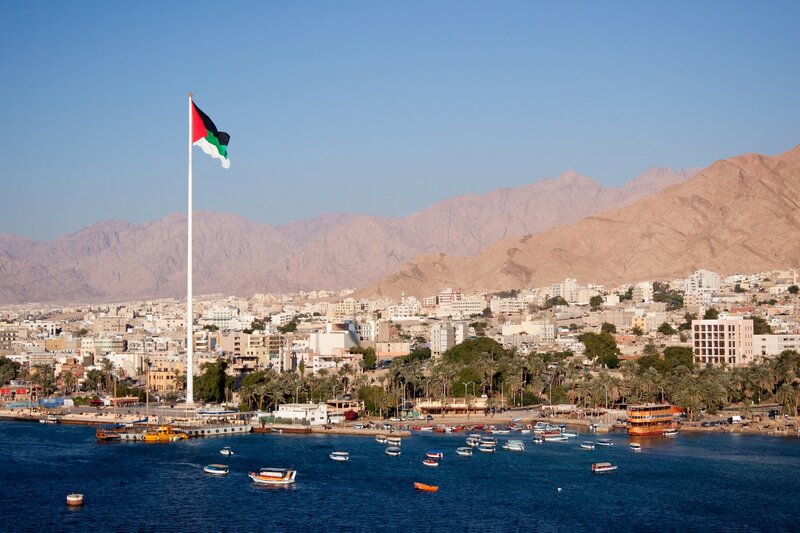 The center is strategically located for for sweeping views of the Dead Sea and a museum that provides a history of the region and overview of the dramatic decline in the size of the Dead Sea. Looking to relax a little during your trip to Jordan than head to Ma’in Hot Spings (42 minutes from Madaba). The hot springs are a mineral hot springs and waterfalls. 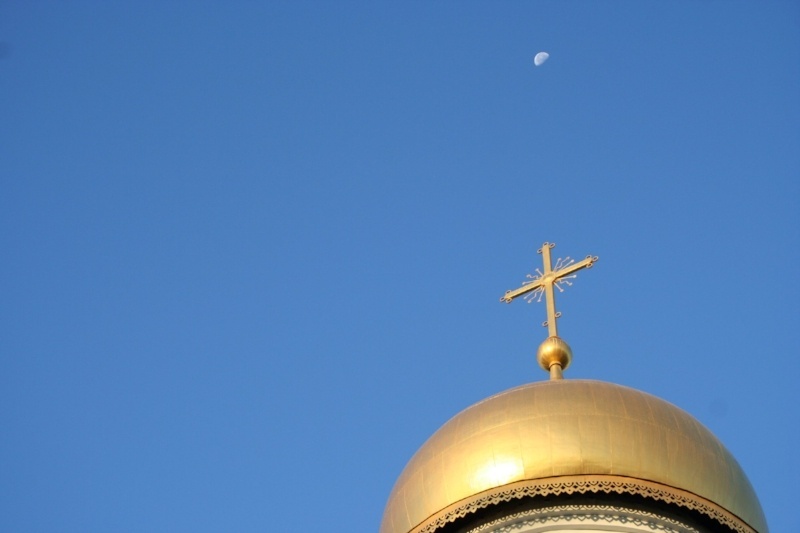 I personally have never traveled there during my time in Madaba, but have heard it’s well worth the visit. 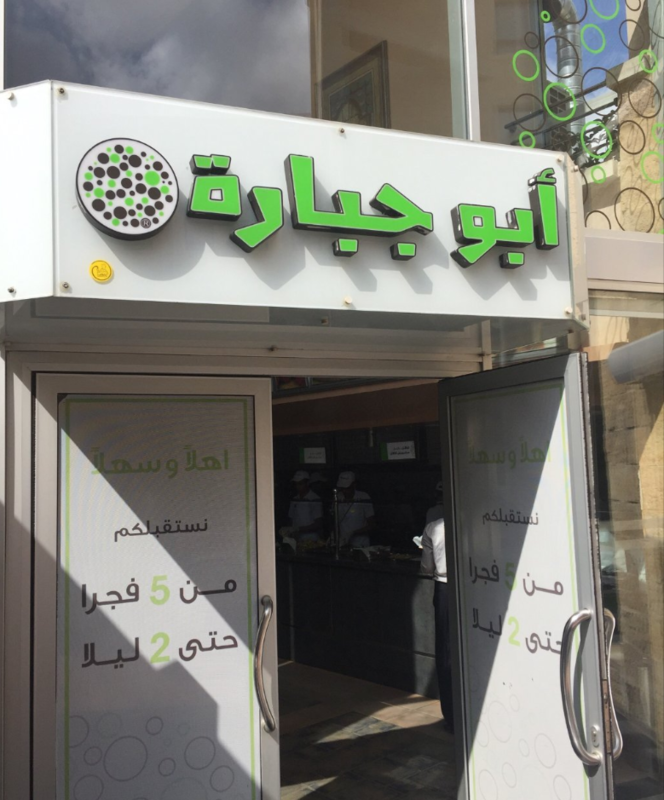 Madaba has many dining options, which unlike Amman won’t cost you an arm and a leg. Two of Madaba’s most famous restaurants are Haret Jdoudna and Dana. 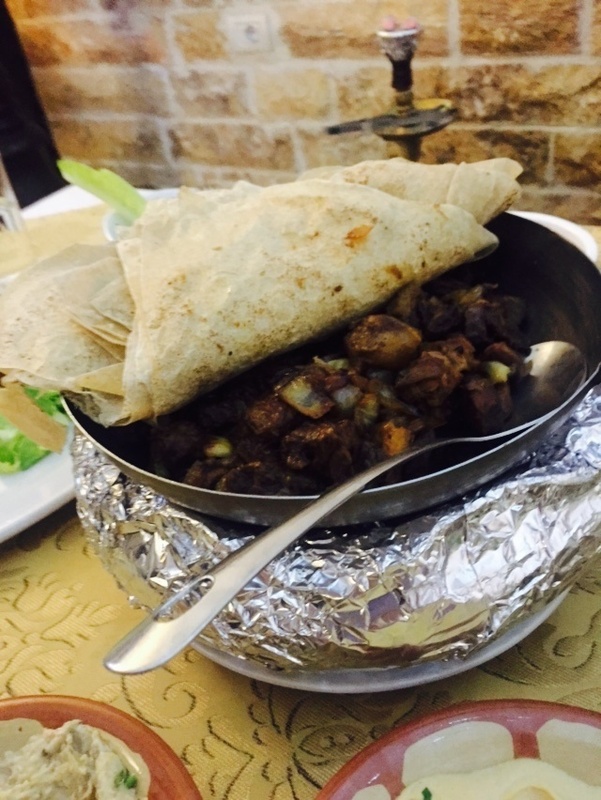 If you go to Dana ask for the Sajieh (lamb or chicken cooked-covered on a wood fire with onions and spices served with a thin bread) a local specialty and house special. The other popular restaurant in town is Haret Jdoudna. The restaurant is set in a historic building and serves Jordanian staples such as hummus, fattoush, makdous, and shish tawouk, mixed grill and kebab. Looking for the real Jordan experience? Try several of the city’s local eateries such as Ayola Cafe right across the street from St. George’s Church and Al Reef Restaurant shawarma stand (my personal favorite) because they serve amazing shawarma and were located beneath my apartment. There are a lot of bakeries and grocery stores if you have a place with a kitchen. Amman is big, and like any big city it’s hard to get a sense of what life is really like for those who live there. If you want to visit Jordan and get a better sense of what life is like outside of Amman and Petra then the best way to do that is to stay in Madaba. Madaba is very walkable making it perfect for exploring, which is easy to do with most of the hotels centrally located. The city offers several accommodation options and having lived in Madaba for two years it wasn’t until my last visit that I had to stay in a hotel. I stayed at Mosaic City Hotel, located in the heart of Madaba and right across the street from where I used to live! The beautifully designed, family run hotel was perfect for our stay. The hotel has free parking (important for the day trips you’ll take) and free breakfast. As you can see it’s possible to spend your entire trip to Jordan in Madaba and experience just about all that Jordan has to offer. The city offers a phenomenal selection of historical sites, stunning landscapes, world renowned activities and incredible dining. On top of all of that staying in Madaba will give you glimpse into what life in Jordan is really like outside of the major tourist centers and Amman. It’s time you visit Madaba. Adventure is all about stepping out of your comfort zone. Whether that is hiking a new trail or base jumping, Jordan has an adventure for you. To learn more about how you can embark on a whole new adventure, take a look at our Experience Adventure page. Albert started Backpacking with the Bonds several years ago and along with his wife Carrie, they explore travel in a way that intentionally promotes impactful and sustainable travel. With each trip, they try to maximize the positive impact on the local economy by staying in locally owned and operated hotels, eating in locally owned and locally sourced restaurants, reducing their single-use plastic waste, and buying locally made products. Carrie and Albert have both come to believe that the right kind of tourism can be a driver of equitable and sustainable development. 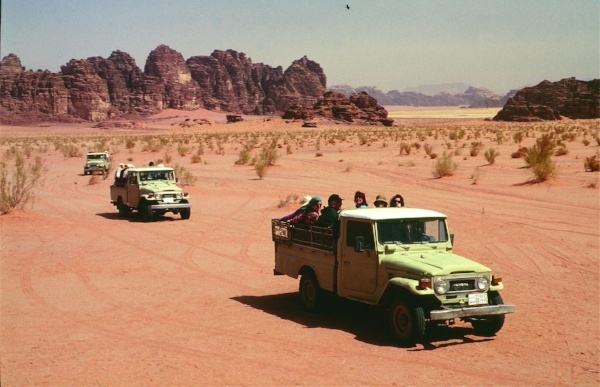 They both saw the positive (and negative) impacts that tourism can have while living in Jordan — Albert lived in the heart of the religious tourist trail, Madaba, and Carrie lived just a few miles from two of Jordan’s main tourist sites, Petra and Wadi Rum. Following Jordan they went on to explore the role of tourism and development in their master’s work in London. Albert and Carrie are currently based in Washington, D.C. and continue to travel extensively despite having full time jobs. They recently became Advanced Certified Divers! For more on the destinations they have covered like Oman, Colombia, or Lithuania check out their destination guides. Oh and be sure to follow them on social media as they begin their next adventure traveling as close as possible to the Arctic Circle! 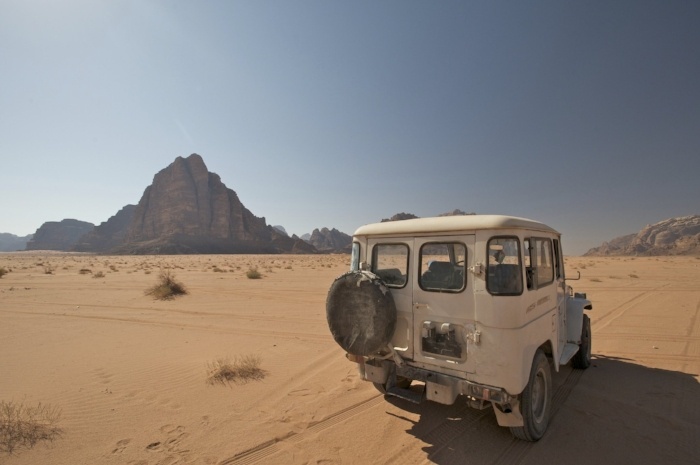 WANT THE LATEST STORIES ON ADVENTURES IN JORDAN?